names : St Michael's Church of England Church. This memorial is really a Garston WW1 memorial in that it includes the names of men who were members of other Christian denominations including Roman Catholic who were not members of the Church of England. With the permission of the vicar the Rev. 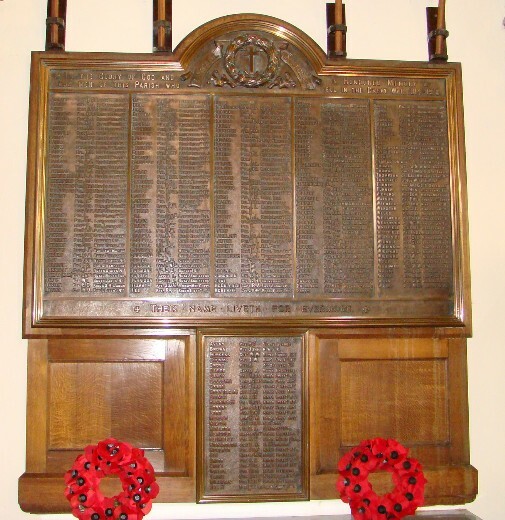 Roland Harvery, the Garston & District Historical Society started in January 2013 to research the names of the war dead listed on the WW1 War Memorial at St Michael's Church, Garston, Liverpool. At the start of the project all we had was a list of names on the memorial. These were transcribed into our Excel spreadsheet database. There are some 227 War dead names on the memorial. These were allocated amongst 10 of our members to research in more detail. The objective of the work was to learn more about these people and their families and to publish this work as a contribution from the Garston & District Historical Society to commemorate both their lives and sacrifice. Below is a list of all the names on the St Michael's Garston War Memorial. By November 2013, basic research was completed on most of the names on the memorial. In order to try an build up a fuller picture of each person, we have researched various information sources including the Commonwealth War Graves Commission web site together various genealogy and census web sites. Our initial findings for the 227 names on the St Michael's Church memorial were published in November 2014 to coincide with Remembrance Sunday on November 9th. We now appeal for help from members of the public who may be related to some of the men recorded on the War Memorial. It may be that you could provide us with more detailed information about your ancestor, perhaps even a photo. Do get in touch with us, we'd be very pleased to hear from you. To do so, just click on the Contact Tab opposite. Thank you. In our study of the St Michael war memorial, it became apparent that many of the names recorded on it were also recorded on other local memorials. It seems that the St Michael's memorial was intended to record the names of all Gartson men who lost their lives and not simply those who belonged to the Church of England. By comparing ghe lists of names, it was found that other memorials often had additional names not found on the St Michael memorial. The results of the research into the other names on the memorial will be reported and published in due course.